Taking up almost the entire southern tip of India, Tamil Nadu is the country's second-largest economy. Its delta region is considered to be the "rice bowl" of the state, also producing coconuts, bananas, nuts, spices and sugar cane. 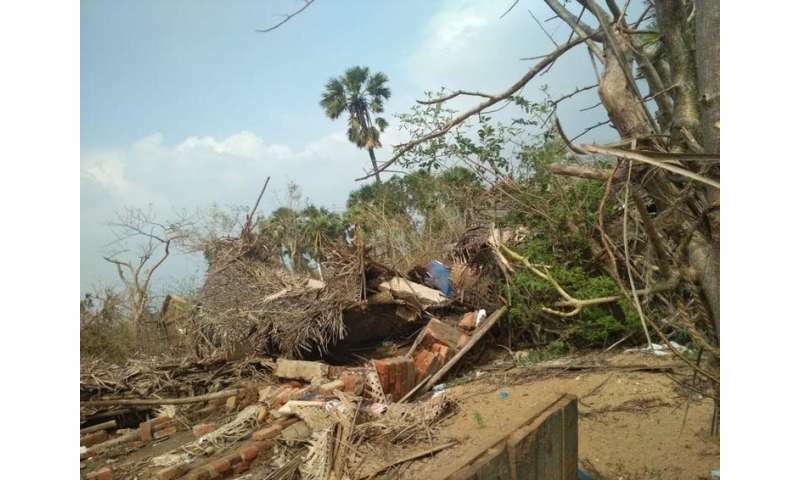 On 16 November 2018, Cyclone Gaja struck Tamil Nadu's coastal areas, devastating local agriculture and infrastructure, and destroying thousands of homes. Despite the region being prone to extreme weather and residents receiving some advance warning, locals reported that emergency responders only managed to reach many of the remote villages a week later. Perhaps few in the West are aware of the extent of the damage and distress this violent cyclone caused. When it comes to major storms and environmental disasters, the world's media tend to focus more keenly when developed countries are affected. The devastation caused by extreme weather in Tamil Nadu remains a damning indictment on India's ability to effectively address such emergencies, whether that be taking preventative measures or actually coping with the aftermath with a proper disaster management plan. Cyclone Gaja saw 45 deaths reported, crops destroyed and livestock killed. One farmer committed suicide after his small coconut plantation – his main source of income – was destroyed. 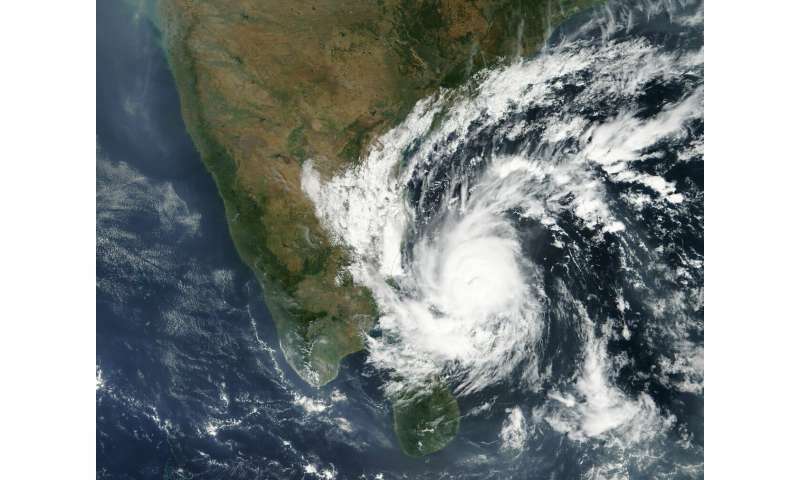 People were traumatised in coastal districts that were unprepared for winds of speed of 160km/h – a category 2 tropical cyclone according to the Saffir-Simpson hurricane wind scale. Millions of trees were uprooted, agricultural land devastated, transportation blocked by debris, communications downed and there were power outages for eight weeks. Three months on and there is still only a limited power supply to some remote areas. It was this very same southern state which faced Cyclone Ockhi in 2017, Cyclone Vardah in 2016, man-made flooding in Chennai in 2015, and of course, the Boxing Day Indian Ocean tsunami in 2004.Around 300 Tamil Nadu fishermen missing after Cyclone Ockhi have never been found. India is part of the Sendai Framework, an organisation that helps participating countries to adopt disaster risk reduction as a key goal in achieving a sustainable society. The country only released its first national disaster management plan in 2016, despite all of the states on the Bay of Bengal having a history of extreme weather events. Developing countries often faces barriers to creating a joined-up response between national, regional and local emergency plans. Tamil Nadu's coastal areas are highly populated with people who depend on the sea for their living. Many live in small huts and makeshift houses that are easily destroyed. Often they are ill-informed about the hazards of living in places that are subject to volatile weather, but have nowhere else to go. On top of this, poor emergency planning and communications, insufficient coastal defence investment and failure to learn from previous cyclones have all led to a kind of paralysis in creating effective disaster response strategies. Cyclone Gaja stands as a warning to international disaster organisations; they must prepare the countries they work with more thoroughly for future weather disasters. They need to make clear that taking measures to limit the extent of disaster cannot be voluntary, but mandatory. It will take months to clear the debris and repair the infrastructure, and years to rehabilitate entire villages across Tamil Nadu. It is time to establish a proper framework that helps developing countries to facilitate an effective response to an emergency, crucially with the help of other, more developed nations. It's also time to think about alternative options such as natural coastal defences and wetland adaption, such as creating salt marshes and growing mangrove trees and sea grasses which can diffuse the energy of coastal flooding caused by storm surges or flash floods. It's 14 years since the 2004 tsunami struck this part of the country where 10,000 people lost their lives, and there are still serious gaps in the region's disaster response methods. Developed countries should understand the need for developing countries to be economically and technologically equipped for extreme events. For many, the issue is lack of funding for investment in coastal defences, but the Indian government needs to make this a key priority. Such extreme weather phenomena are likely to intensify as the effects of climate change – global warming and rising sea levels for example – escalate.